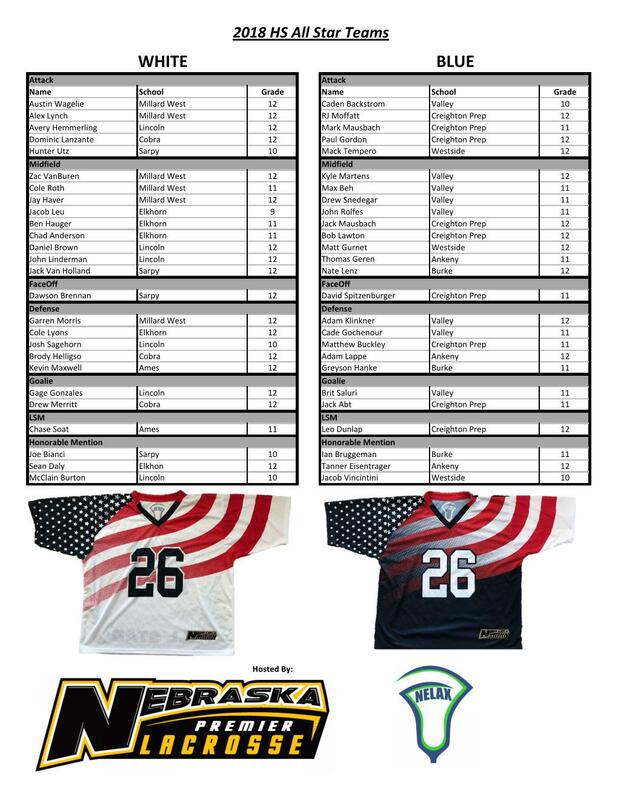 Nebraska Premier Lacrosse is proud to working in association with the Nebraska High School Lacrosse Association (NELax) and be the host of the HS All Star Game. 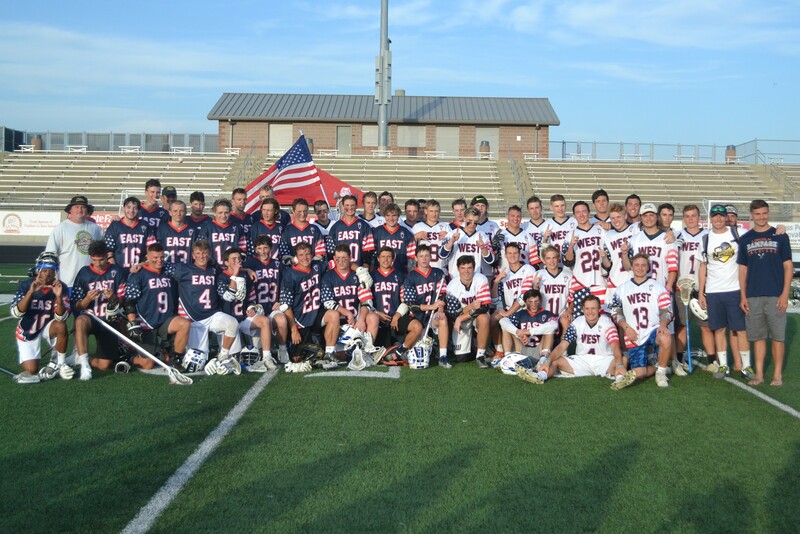 The 2018 All Star Game will be played at Papillion LaVista South High School on Wednesday June 6th at 6pm. The game will showcase the great talent from the best players within Nebraska and Iowa. 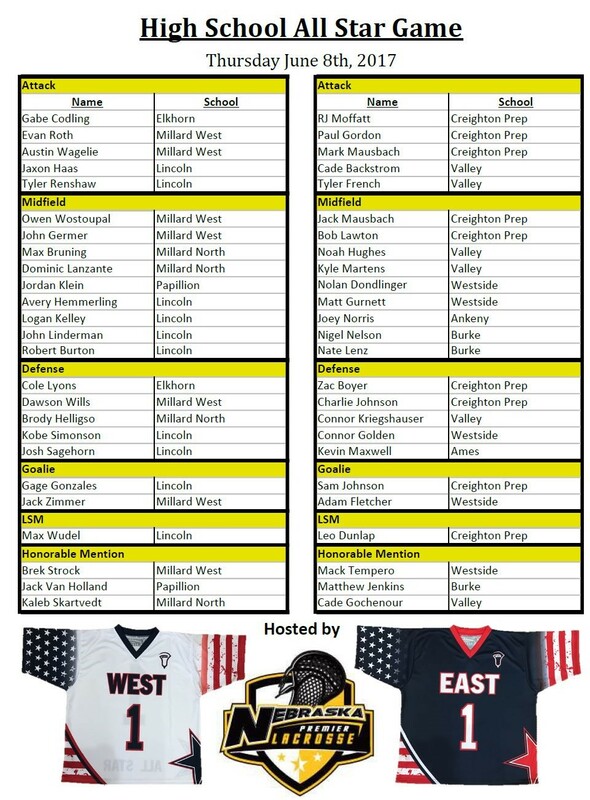 The 2017 All Star Game will be played at Papillion LaVista High School on Thursday June 8th at 6pm. The game will showcase the great talent from the best players within Nebraska and Iowa.